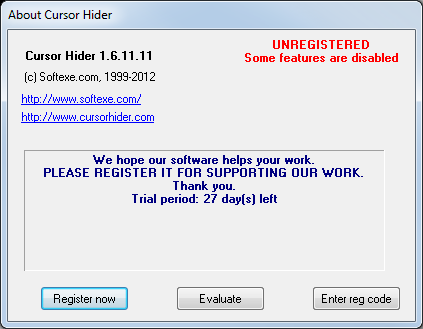 After Cursor Hider purchased you get the email with registration code. Copy code from registration email. And do next steps. Corporate users may apply silent install for storing registration key as one step. 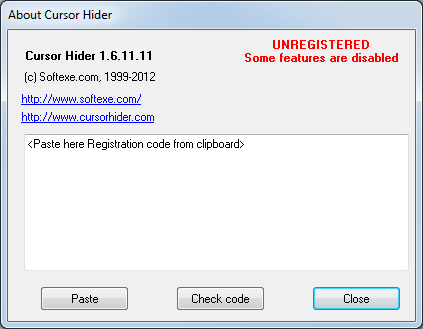 Click right mouse button on Cursor Hider icon (arrow) to call context menu and select upper item to show About window. About window displays unregistered message and time trial left. Press "Register now" button to visit online store to purchase software. Press "Evaluate" to use trial version. 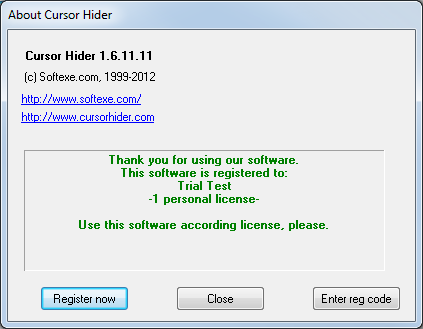 Follow "Enter reg code" to register software. 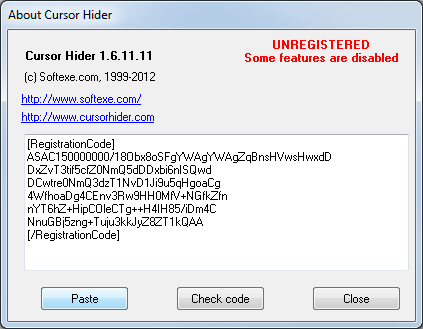 Cursor Hider ready to paste registration code. If registration code is valid you will see this message. Click Ok button to restart software. Pre-restart message for valid registration code. 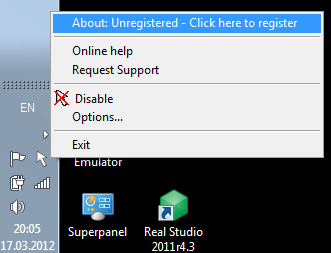 About window with registration information. If registration code was copied not correct from registration code this message appears. Warning about not correct copied registration code from email.